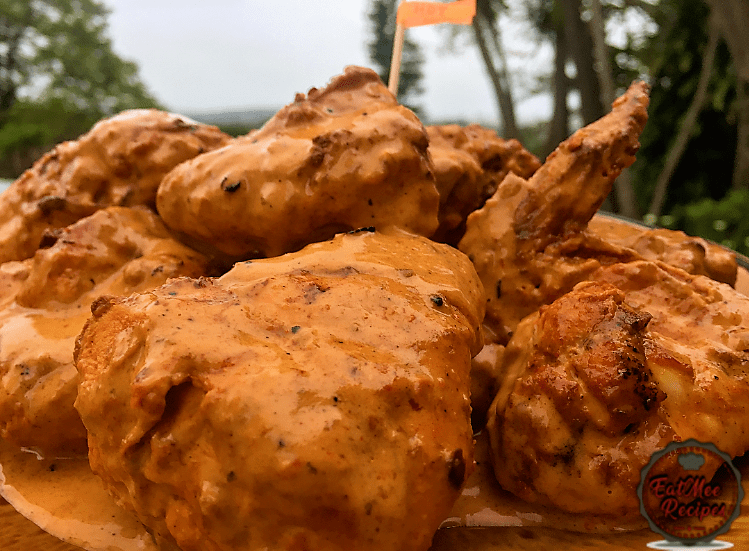 Nandos Style Peri Peri Chicken is devoured by many local citizens of South Africa, as well as a huge amount of foreigners. 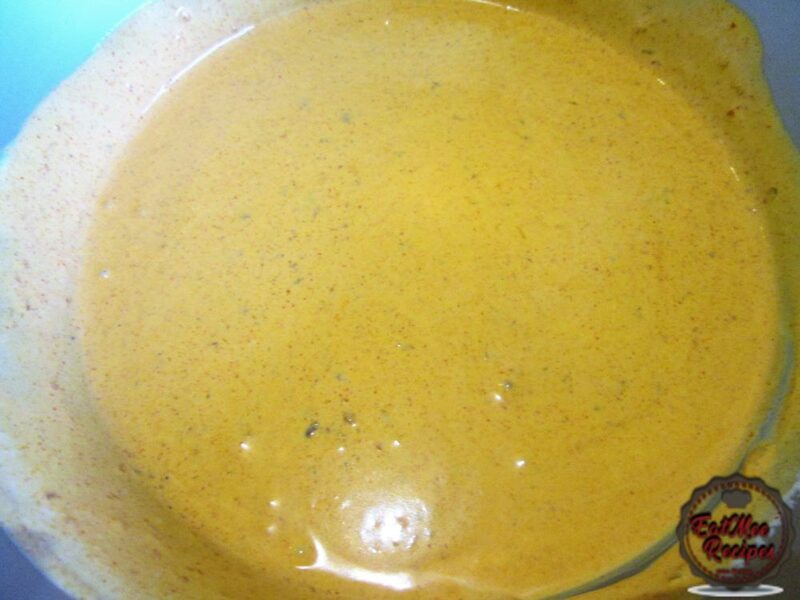 It is a quick & healthy meal which is spicy & delicious. 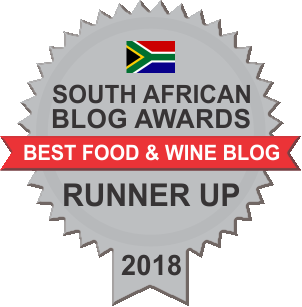 Nando’s is well known all through South Africa for its fabulous butterfly cut, Peri-Peri chicken – marinated for 24-hours before being fire flame grilled & seasoned in the addictive Nando’s Peri-Peri sauce of your choice.  Nando’s represents considerable authority in fire flame grilled peri peri chicken. 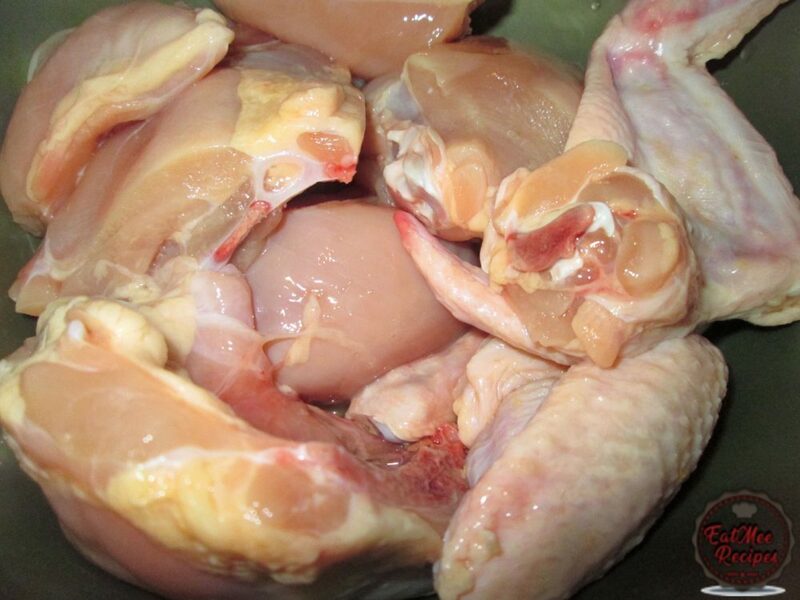 The chicken is served in quarters, halves, wholes, & butterfly breasts. The word Peri originates from the Swahili word Pili which translates to pepper or spicy chilli. So this dish is typically most pleasant fiery. Obviously you can simply alter the measure of chilli to suit your own taste. 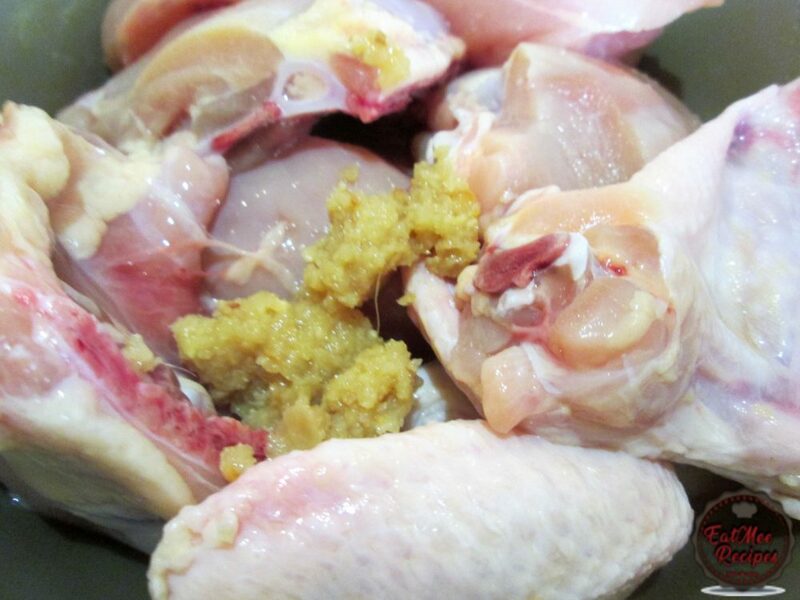 This recipe will have you preparing chicken on a regular basis. It can be altered in taste using the variety of Nandos sauces. 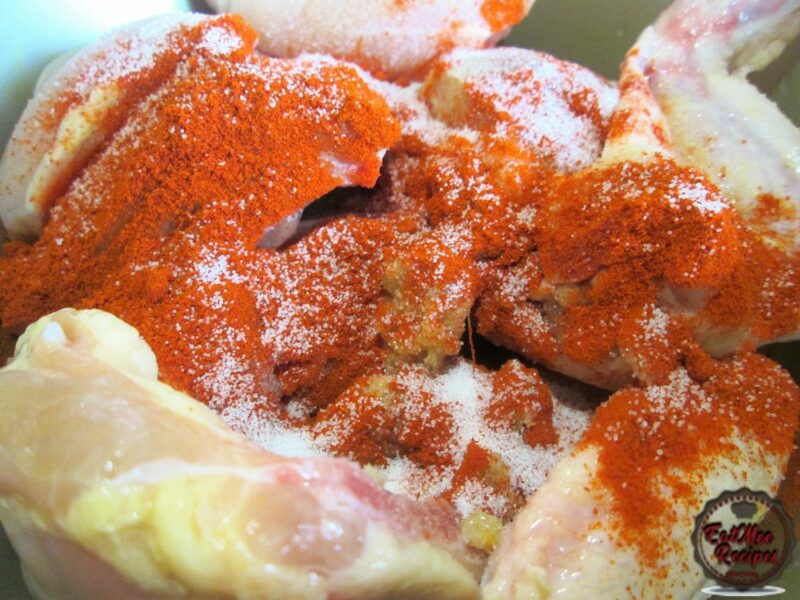 Rinse & skin the whole chicken. Cut into pieces & place into a bowl. Add in the ginger & garlic paste. 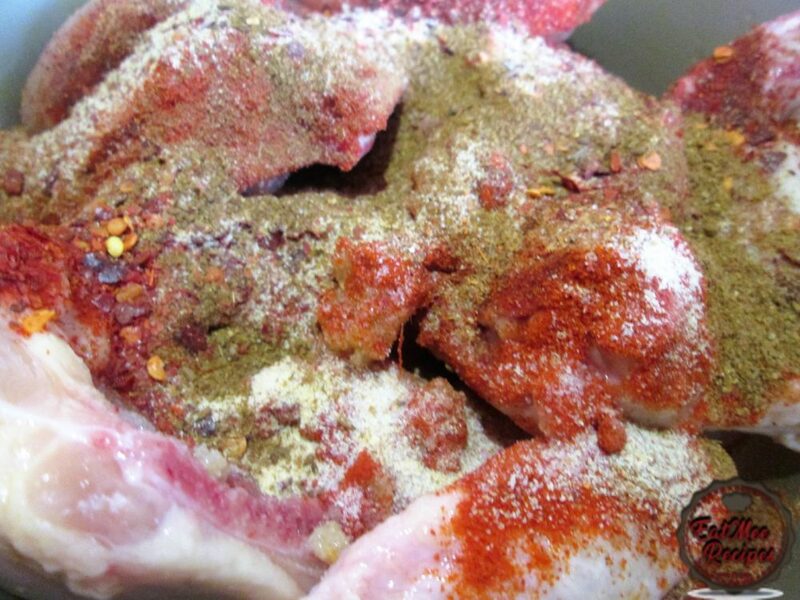 Thereafter, add in the chilli powder. Next, add in salt to taste. 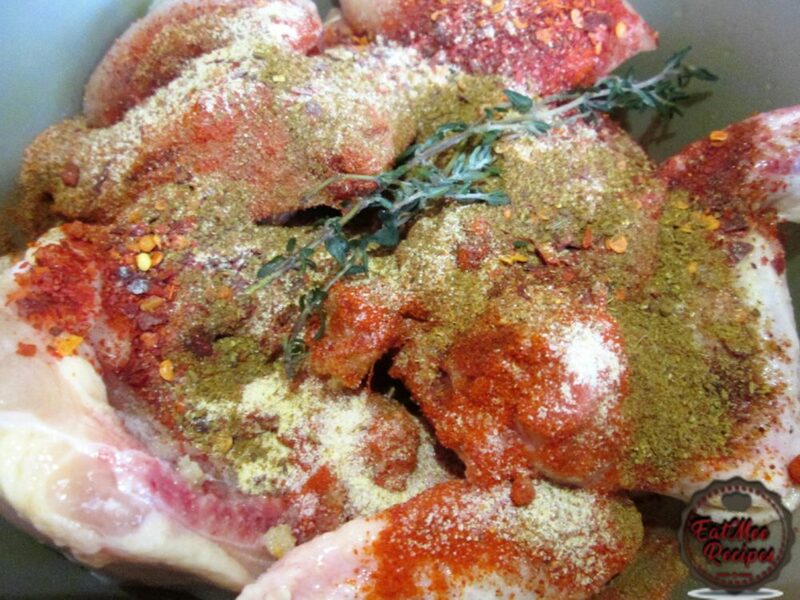 Thereafter, add in the chicken spice. 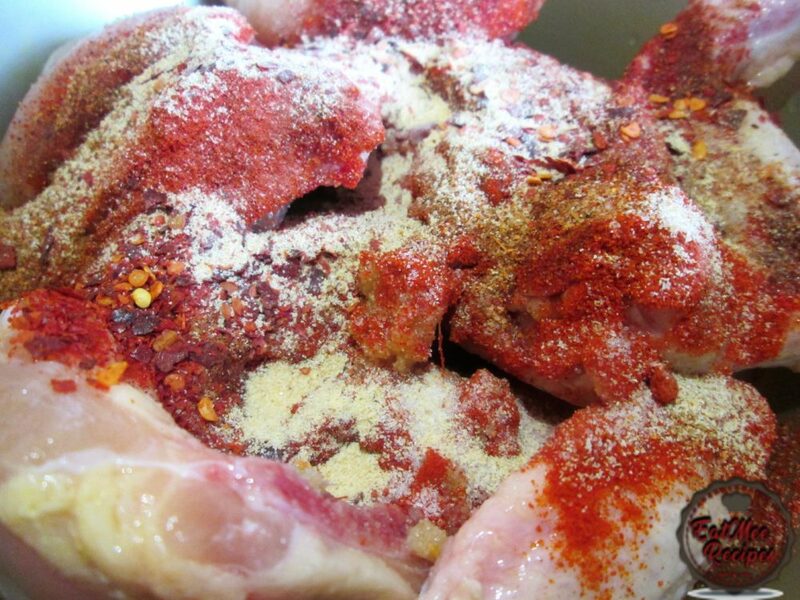 Next, add in the red chilli flakes. 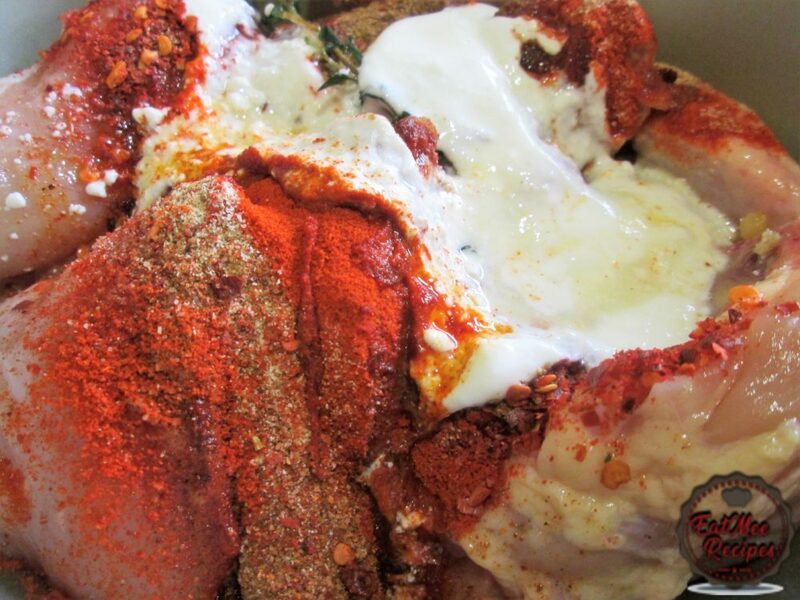 Followed by the garlic powder. Add in the jeera (cumin) powder. 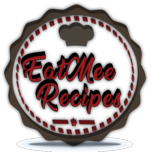 Pour in the plain yoghurt or sourmilk (maas). Finally, add in the vegetable oil. 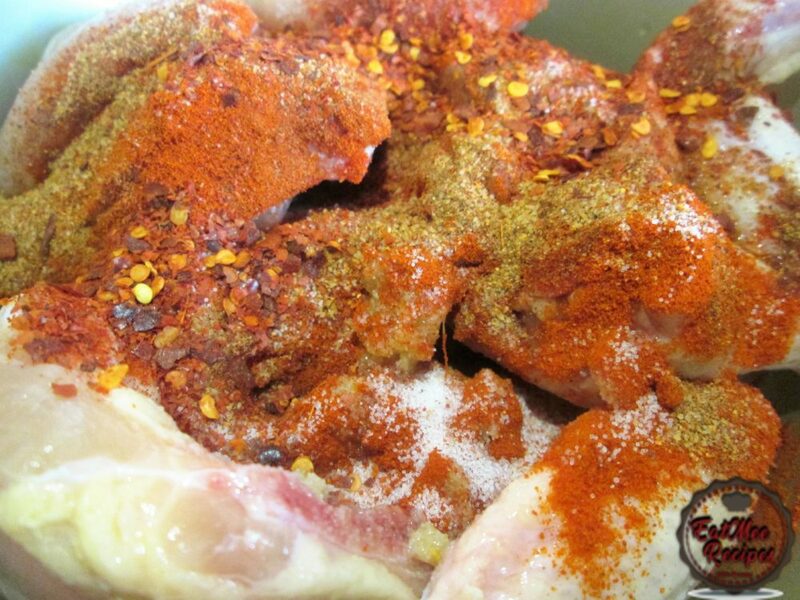 Mix well & allow to marinade for an hour. 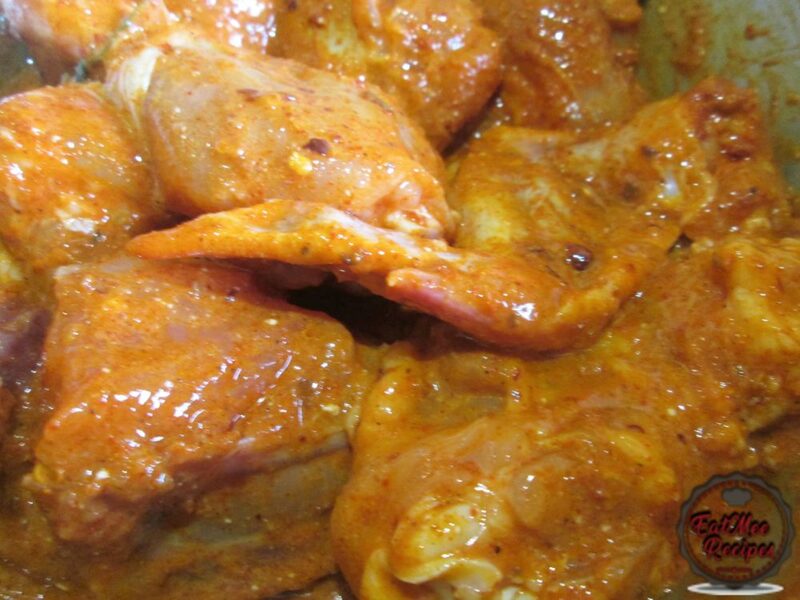 (The more hours you allow it to marinate, the more the flavour will be added into the chicken). 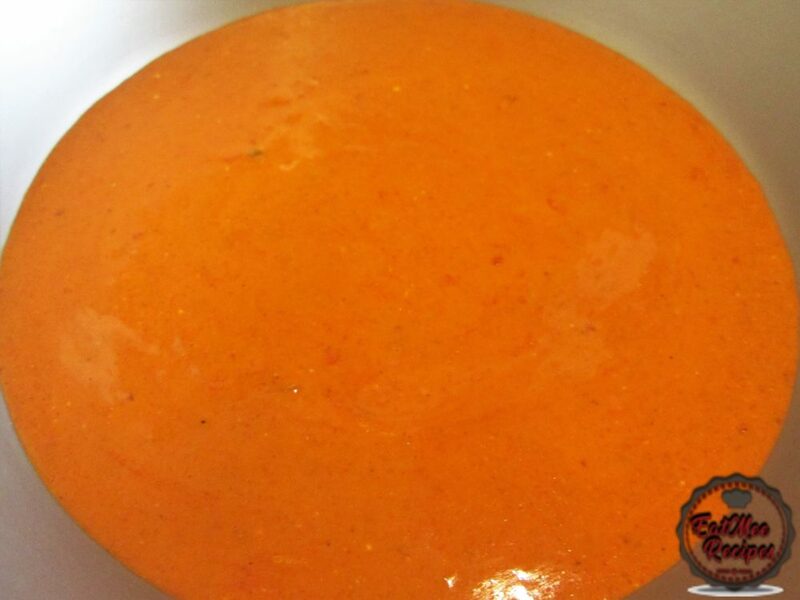 Whilst the chicken is marinating, empty the bottle of Nando’s Peri Peri sauce into a bowl. 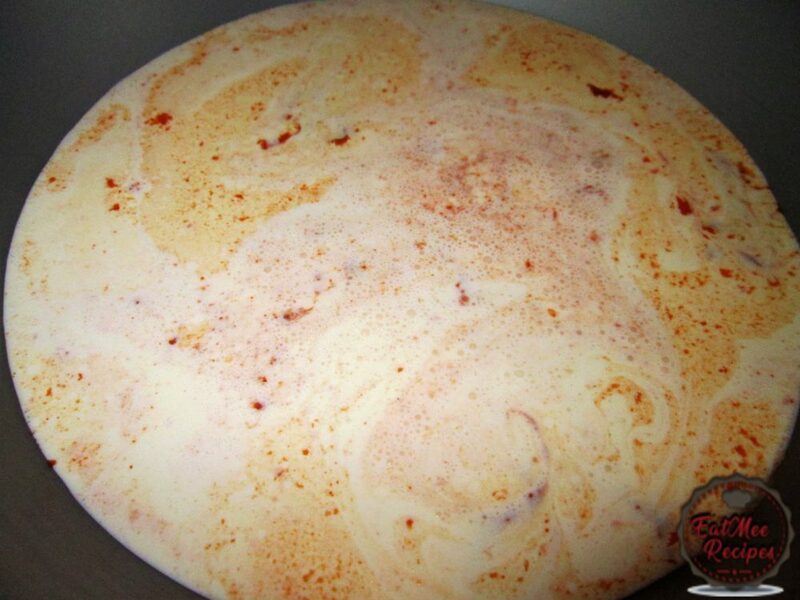 Pour the fresh cream into the bowl of sauce. Mix well & set aside. 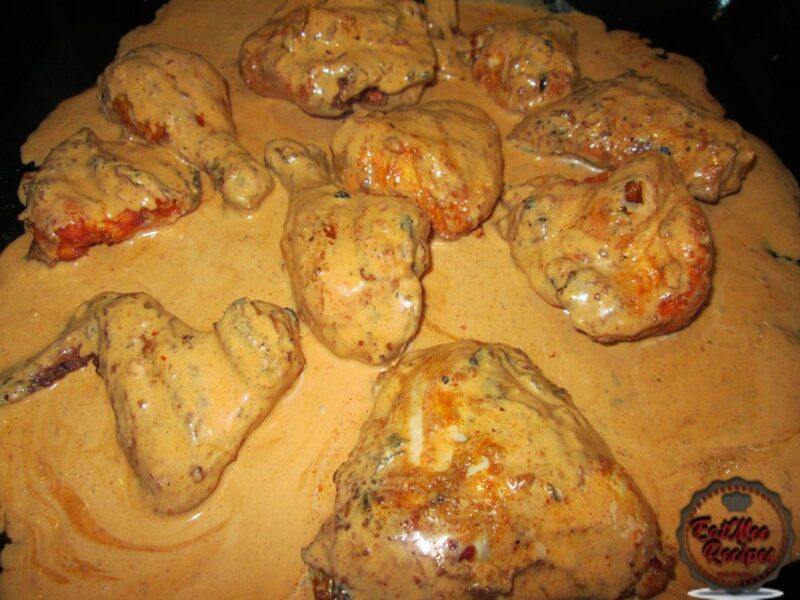 When the chicken is done marinating, set the oven to 180º Celsius. 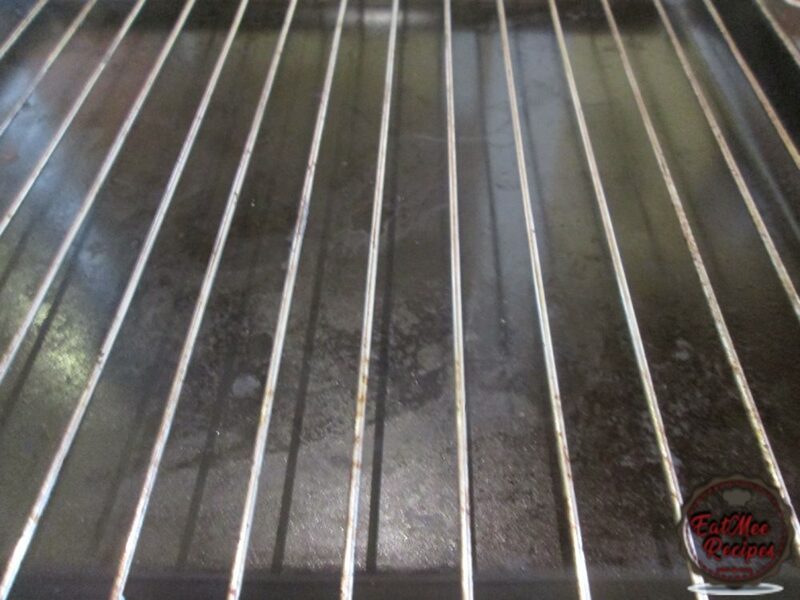 This step is optional, I have placed a rack over the oven tray – this will allow for those grill marks. 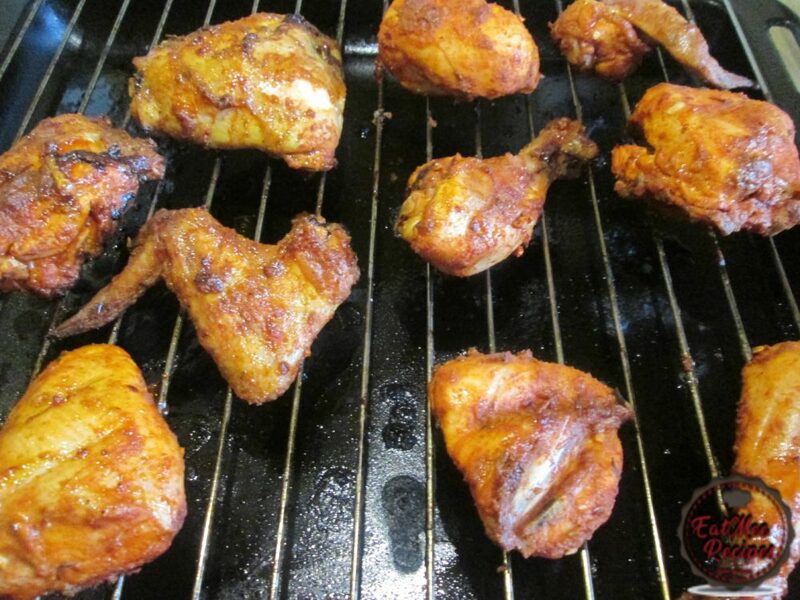 The chicken may alternatively be cooked on a grill or open flame for better results. Next, place the chicken on the rack. 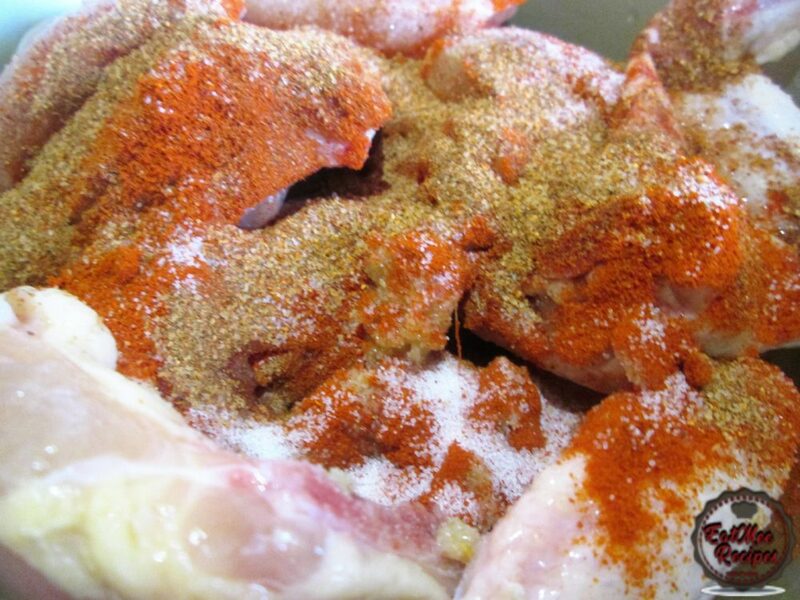 The extra marinade can be discarded or it can be added onto the chicken during the cooking process. 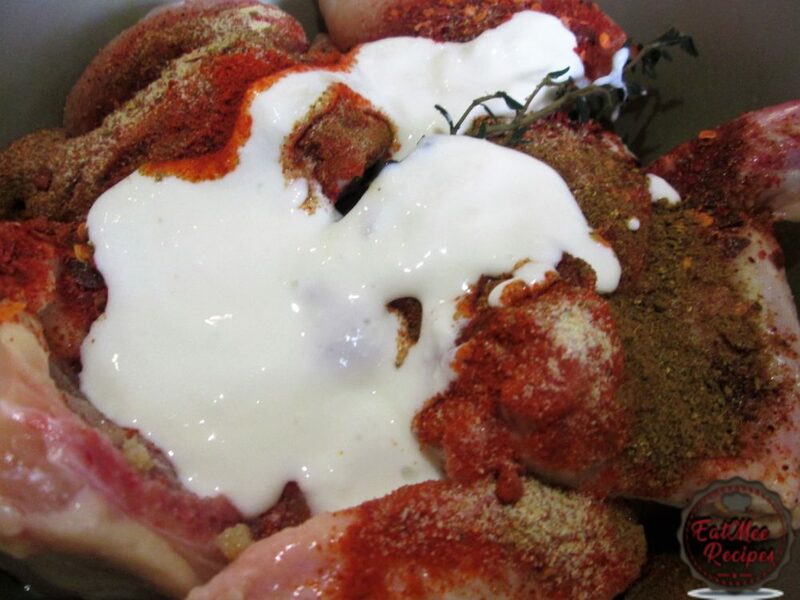 Place the chicken into the oven & roast for 30-45 minutes until cooked throughout. 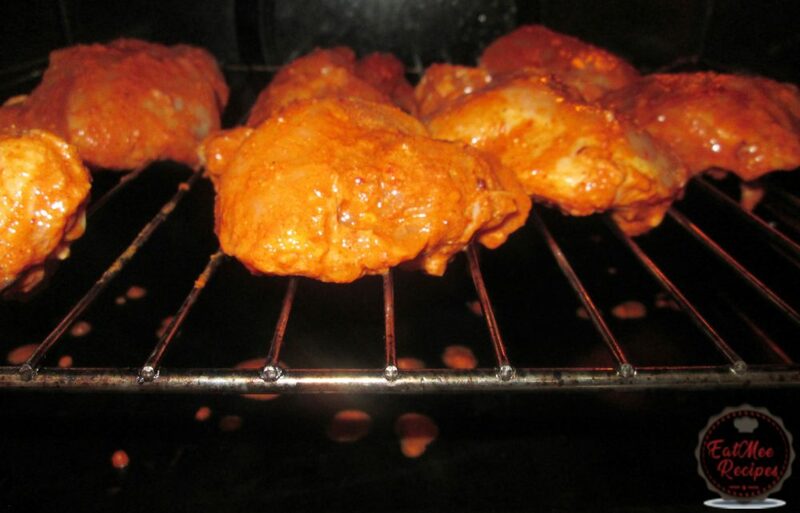 Once the chicken has cooked, remove from the oven. 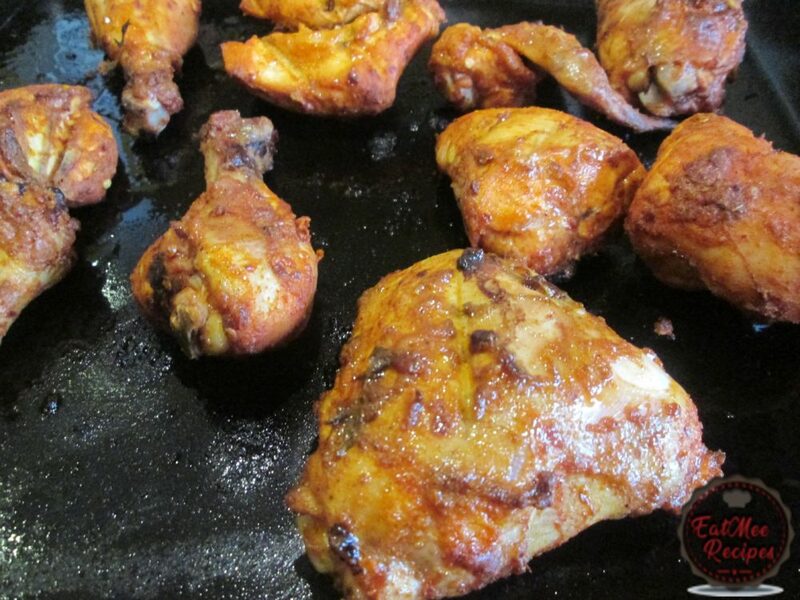 Remove the chicken from the rack & place it directly onto the oven tray. 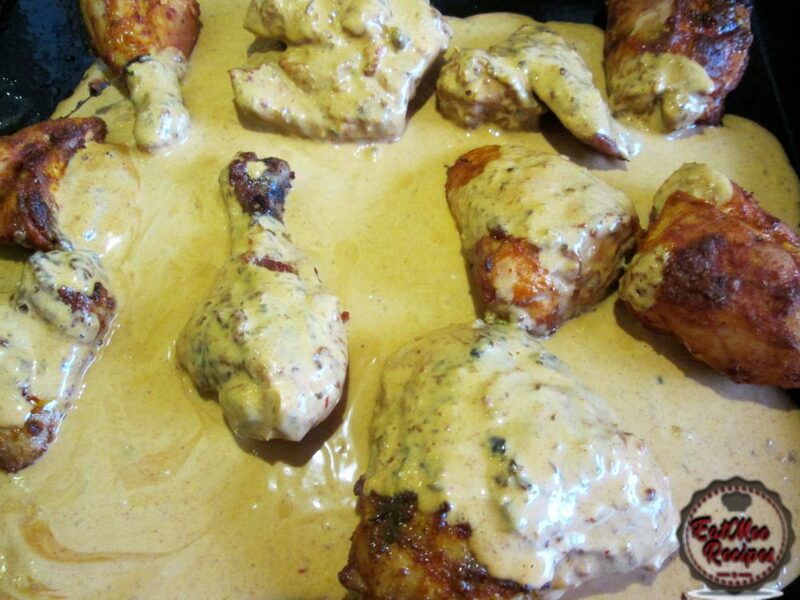 Remember the peri peri sauce & fresh cream mixture that was prepared earlier? Time to pour it over the cooked chicken. 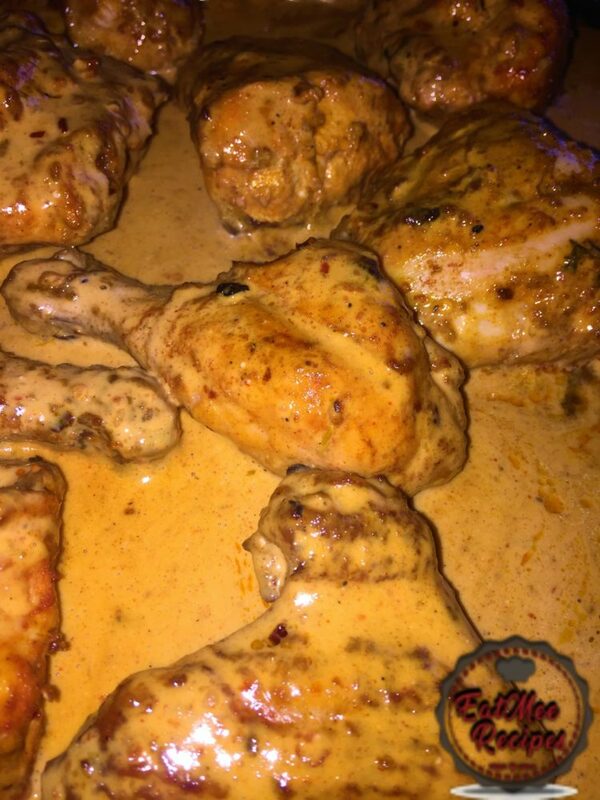 Coat the chicken pieces with the sauce mixture & then place it back into the oven for 2-3 minutes. 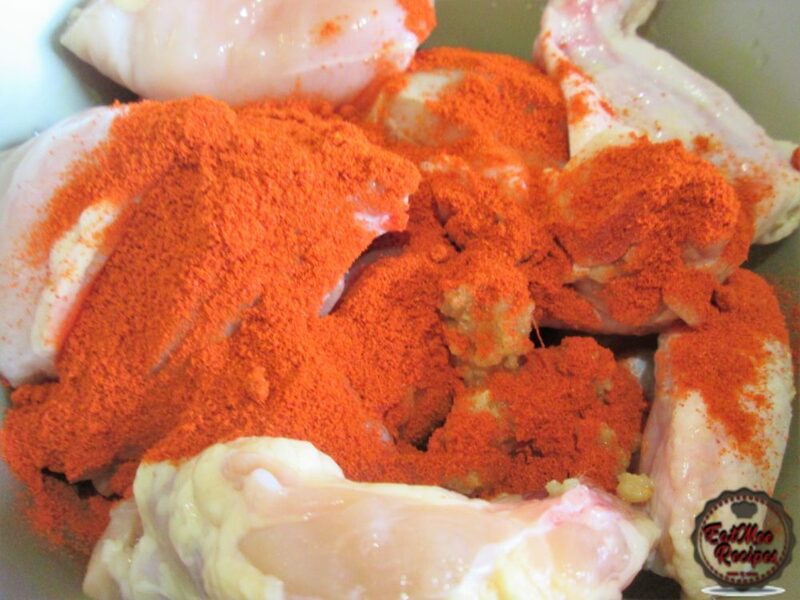 This will allow the sauce to soak into the chicken. 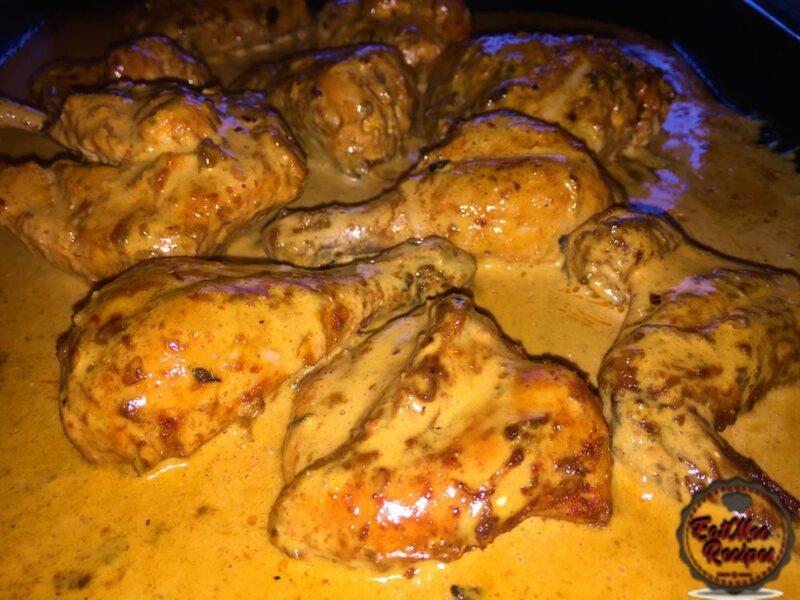 Remove from the oven – notice how there is still plenty of the sauce left, that’s perfect as you don’t want the sauce to be dried up. 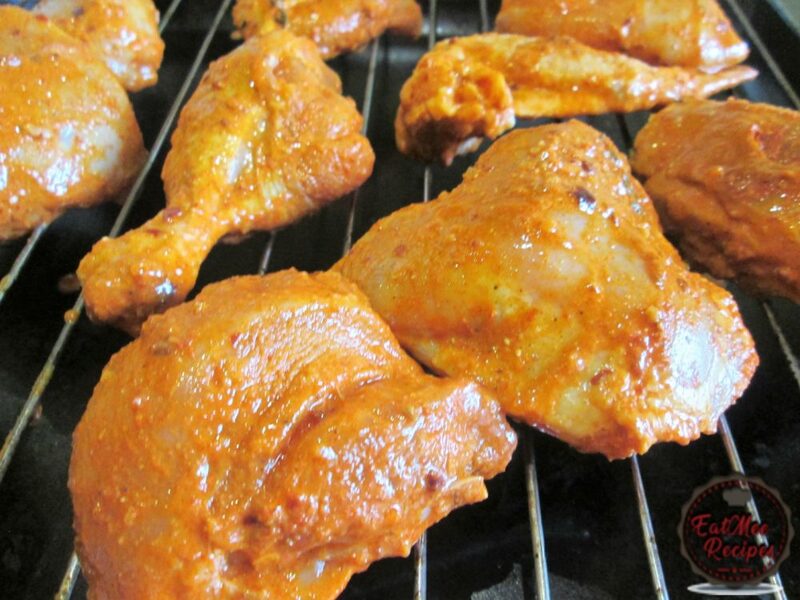 Serve your Nandos Style Peri Peri Chicken hot with coleslaw, rolls, chips &/or Nandos chicken livers.